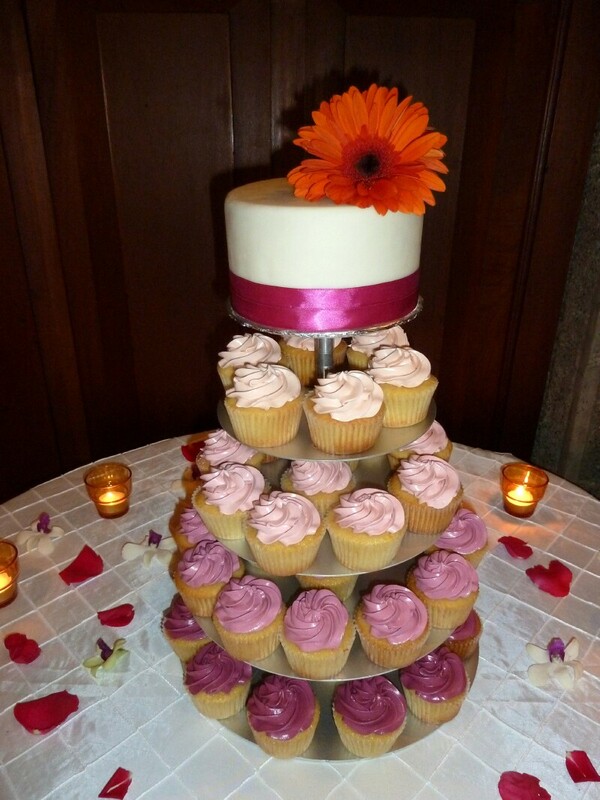 Other than the bridal bouquet, choosing the wedding cake is one of the most popular traditions. History shows us that wheat, grains, seeds and nuts are universal symbols of fertility. The ancient Greeks served sesame seed pies. Small wheat cakes where sharing at Roman weddings and wheat biscuits were broken over the bride’s head at Anglo-Saxon weddings. The cutting of the cake is also steeped in tradition. Originally it was the bride’s job to cut and distribute the cake. Again we’re looking at a fertility symbol. As the size of the cake grew the groom was called in to help. 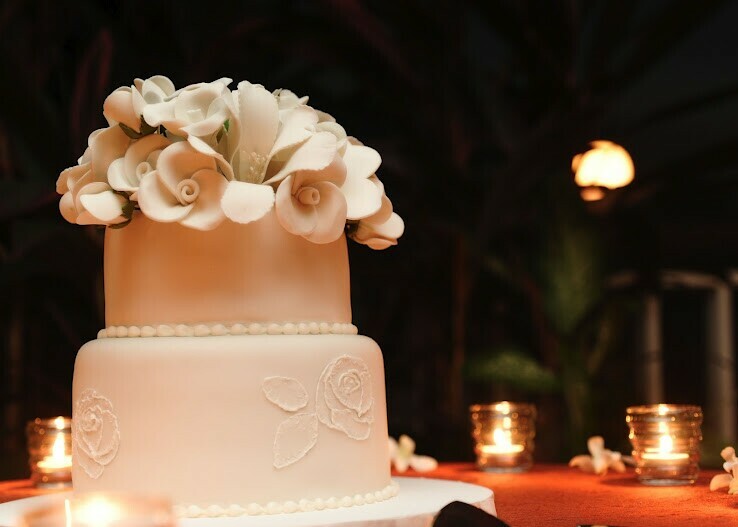 Once this tradition began the bride and groom would share a piece of cake before distributing it to the guests to symbolize their union and their promise to forever provide for each other. 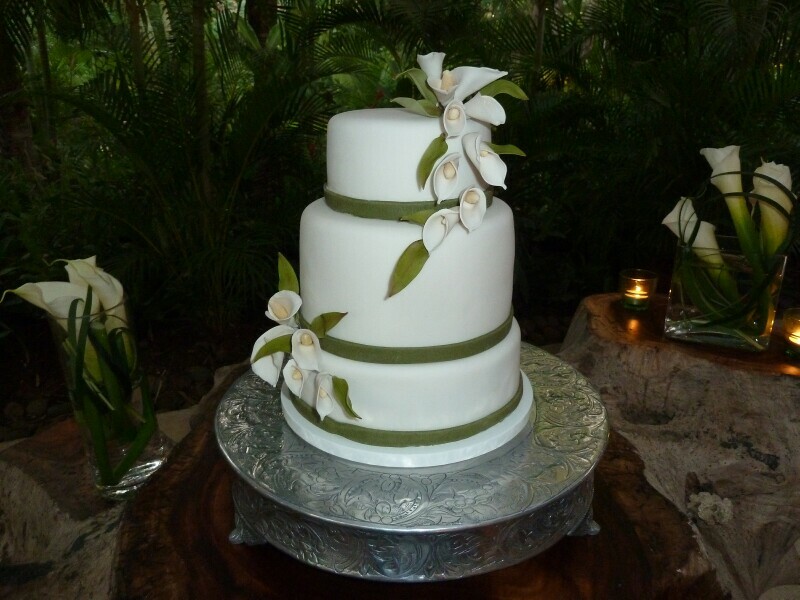 The trend for tropical weddings are anything from wedding cupcakes, bride and groom cakes to an assortment of small cakes. Some couples have opted for a desert table with a small sweetheart cake to cut. Color and design are often used to complement the theme of the wedding. 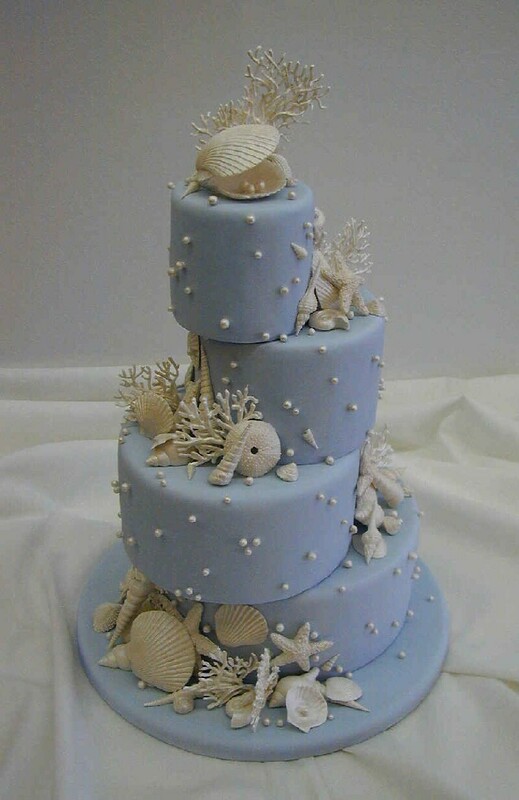 Your wedding cake does not have to be white. 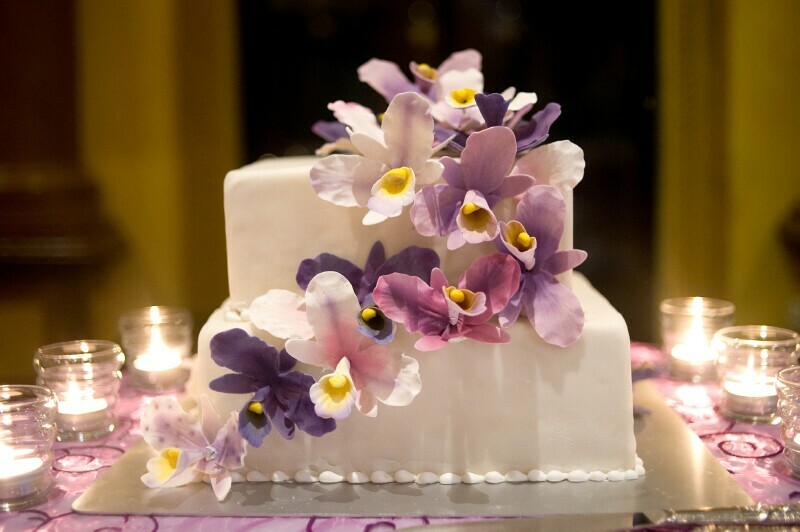 In the tropics we suggest using a fondant because it is one of the few icing that will hold up to the heat and it looks great. Here are some more of my favorite cakes. 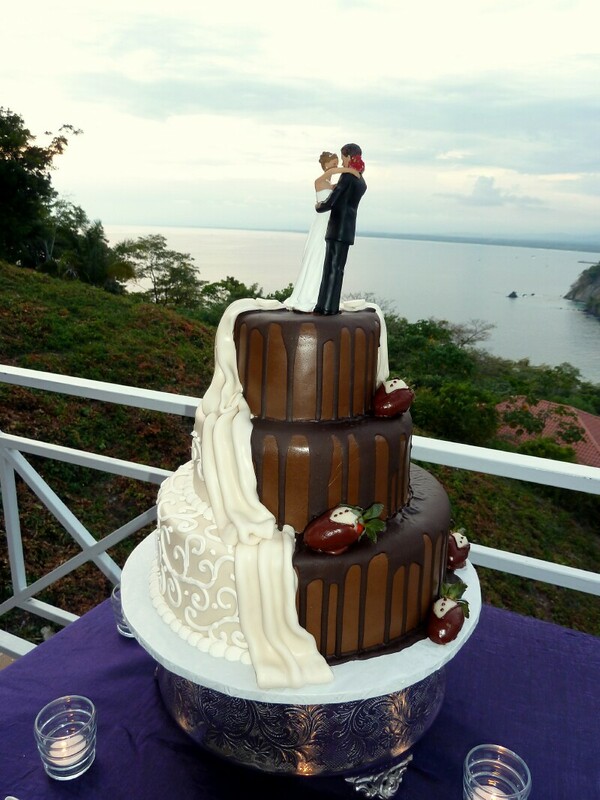 This entry was posted in Wedding Cakes by Randy Gritz. Bookmark the permalink.